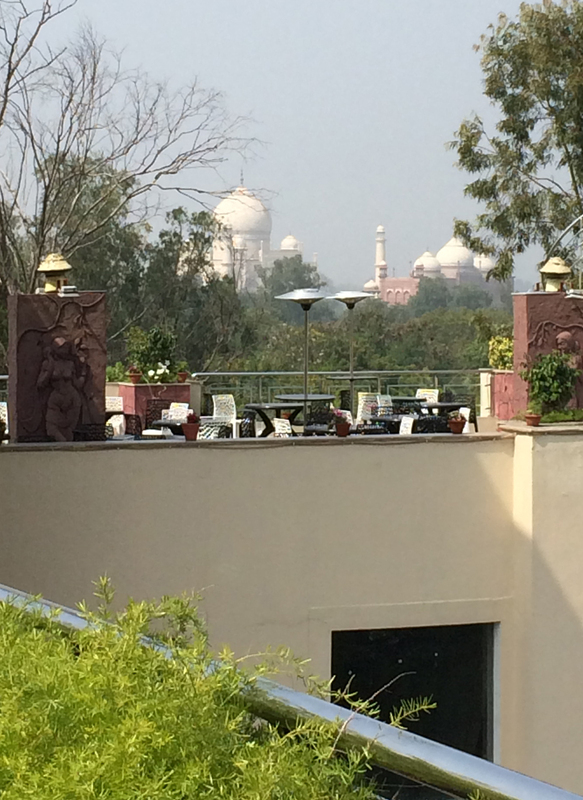 After the Taj Mahal we meet back at our hotel for a farewell rooftop lunch. We can see the minarets from here. Lunch is delicious and rather than spend the time in sadness for our last day together, we are happily distracted by signing cards to all the amazing guides and hosts we’ve been gifted this trip. “Perhaps it’s the secret that I seek, knowing it will reveal itself in the most unique way. Often it comes wrapped in the contrary as many gifts do. And so often the destination rides home on my clothes, in my suitcase or secretly in a photo to be unwrapped at the most appropriate time. “The secret destination is always inward and while it is said that you can’t find yourself by going to another place, I would counter that travel itself is the great revealer. The unfamiliar allows those parts of us, shadow or hidden, to emerge. We learn ourselves, we find our internal map home. And home is not a physical destination, but a residence within all situations. I didn’t feel the need to share this one, to read it, and so that’s why I did when asked. I had let go, in the writing I had released my attachment to it, to the rest of the day, to criticism or praise.